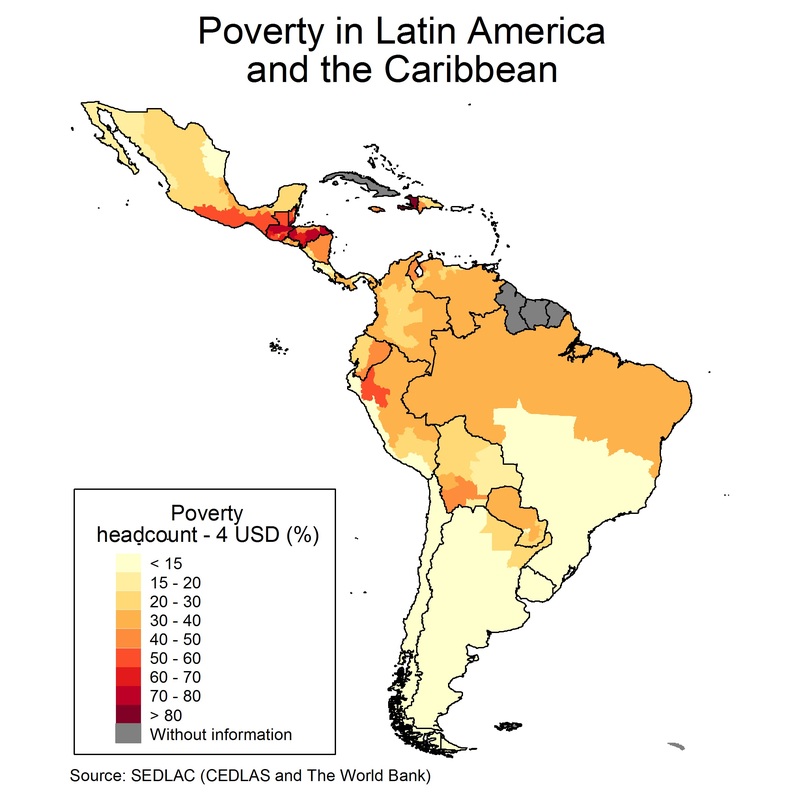 This section presents statistics on poverty, inequality, income and other socio-economic variables for all Latin American countries and several Caribbean included in the SEDLAC database. 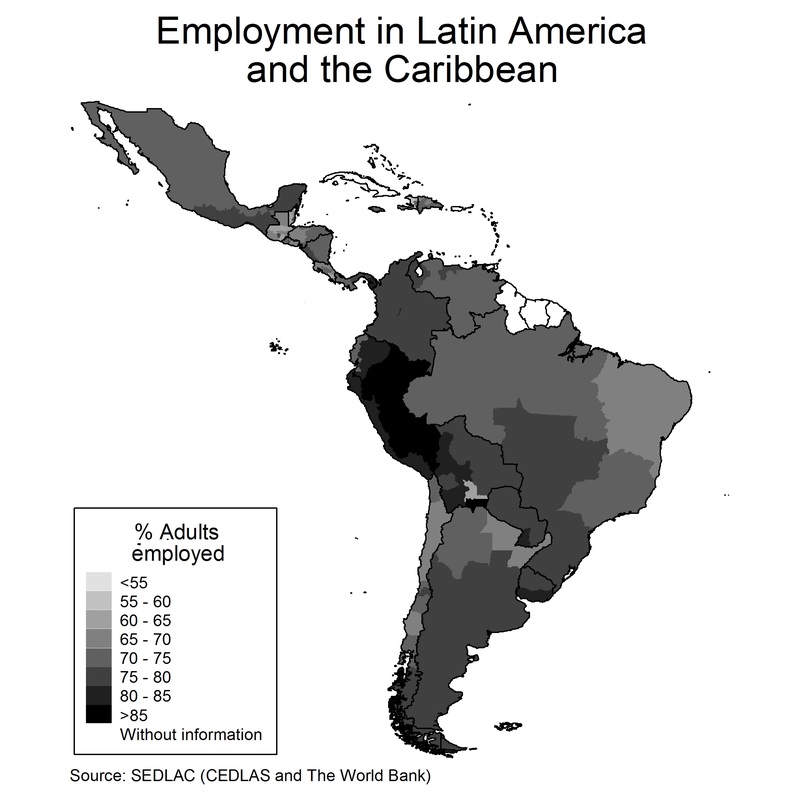 Information taken from this database should be cited as “Source: SEDLAC (CEDLAS and The World Bank)” or “Source: Socio-Economic Database for Latin America and the Caribbean (CEDLAS and The World Bank).” We advise making reference to the date when the database was consulted, as statistics may change. 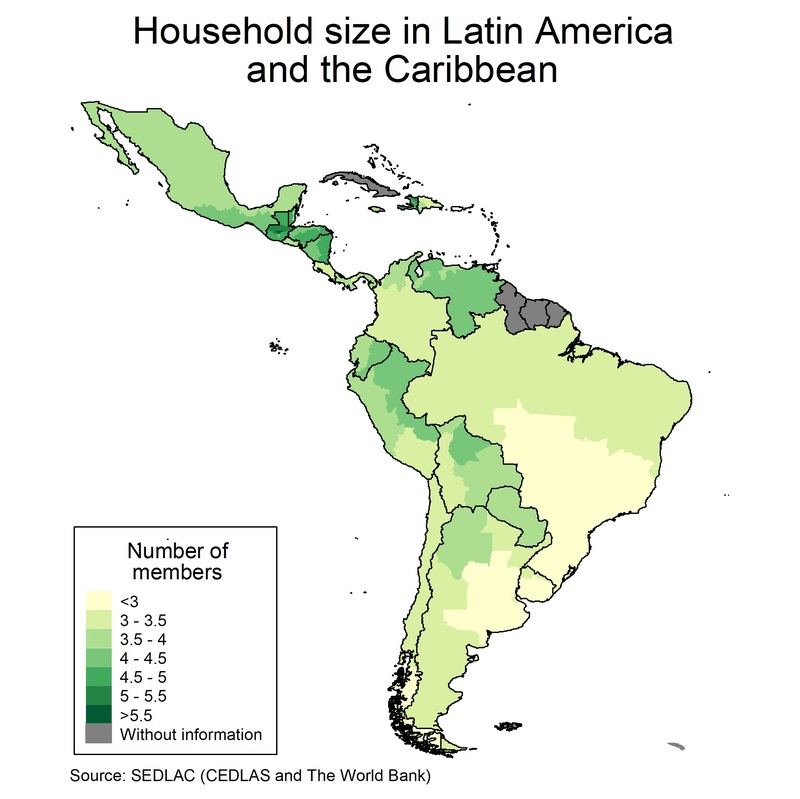 SEDLAC includes information from over 300 household surveys carried out in 24 LAC countries: Argentina, Bahamas, Belize, Bolivia, Brazil, Colombia, Costa Rica, Chile, Dominican Republic, Ecuador, El Salvador, Guatemala, Guyana, Haiti, Honduras, Jamaica, Mexico, Nicaragua, Panama, Paraguay, Peru, Suriname, Uruguay, and Venezuela. For each period, the sample represents more than 97% of the total LAC population. The database covers the period 1974-2015, although in most countries the sample begins in the 1990s. The following file includes a list of the household surveys that are used in the SEDLAC database and their main characteristics. 1. Detail on how incomes are constructed from household surveys. 2. 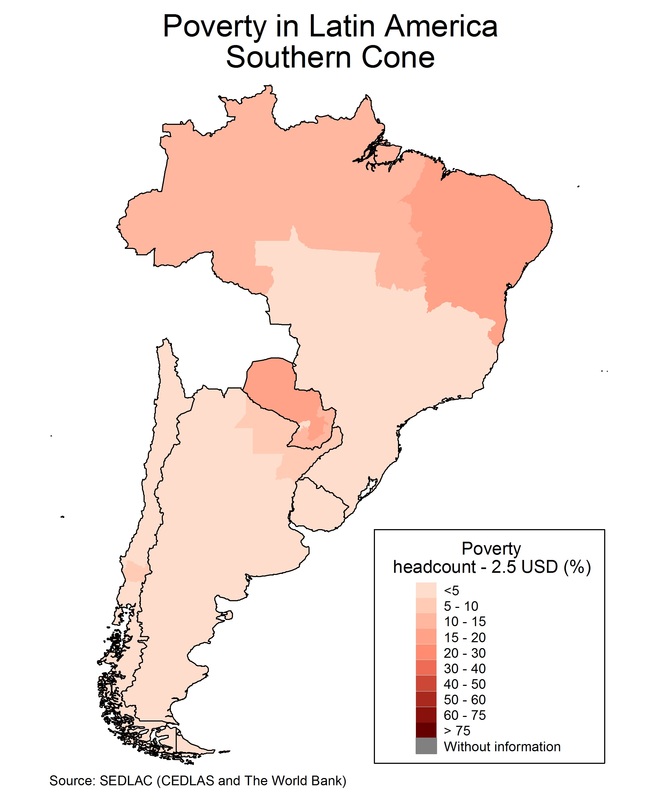 Estimations of household per capita income by deciles, areas, and subnational regions. 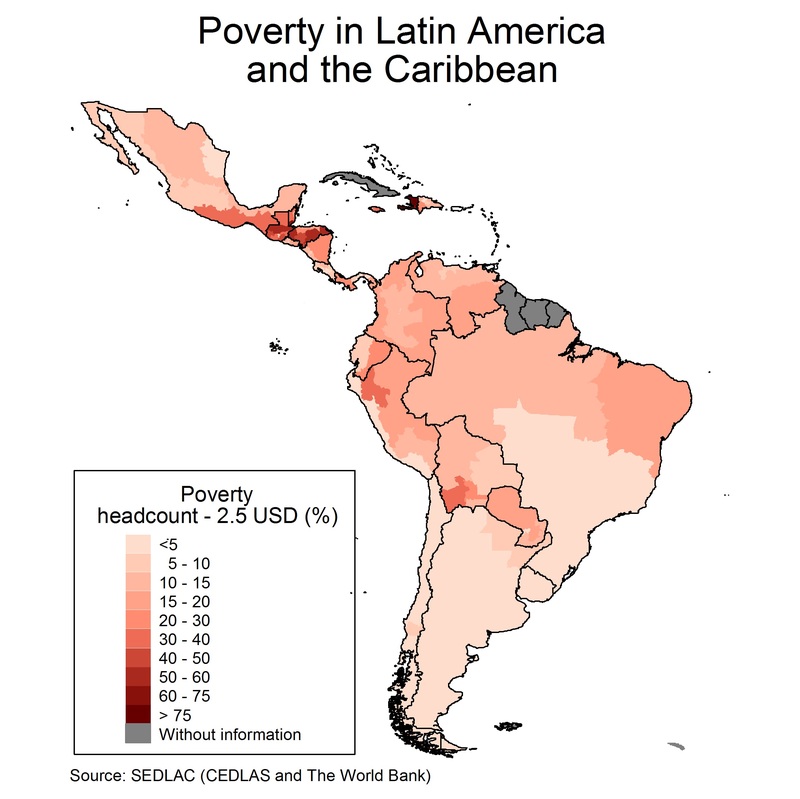 The following files contain poverty headcount ratios published by LAC governments, and several individual poverty indicators computed using CEDLAS methodology and international poverty lines: 1.9, 2.5 and 4 dollars a day at 2005 PPP. 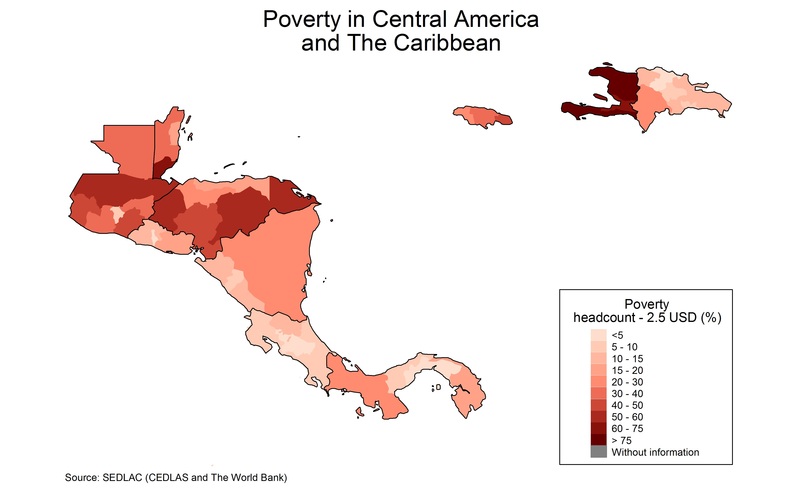 We also include a file with regional poverty estimates. See the Methodological Guide for details. 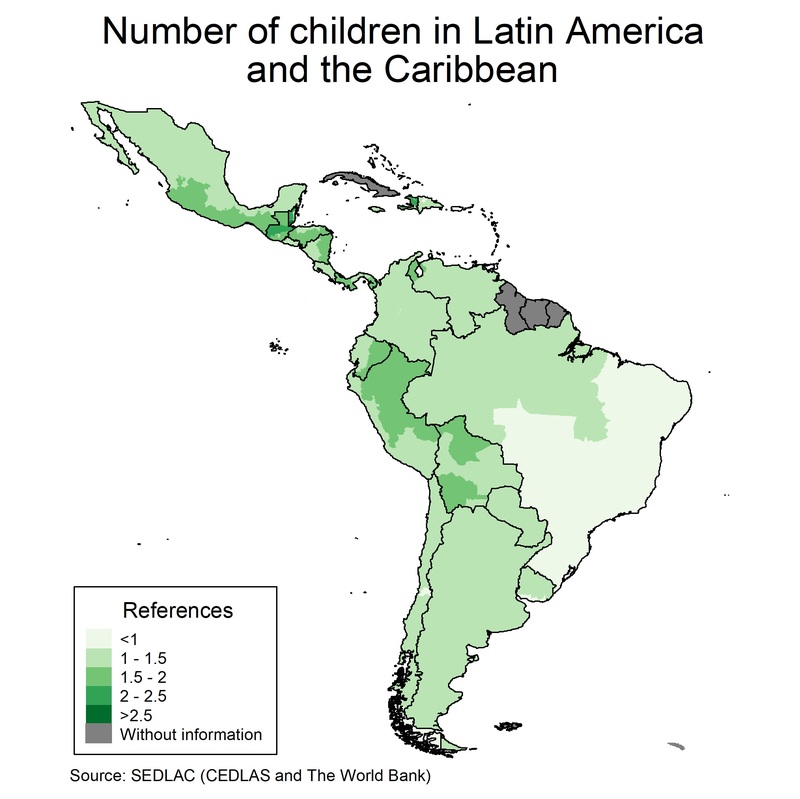 – Household size, number of children under 12 dependency rates, and mean age by income quintiles. 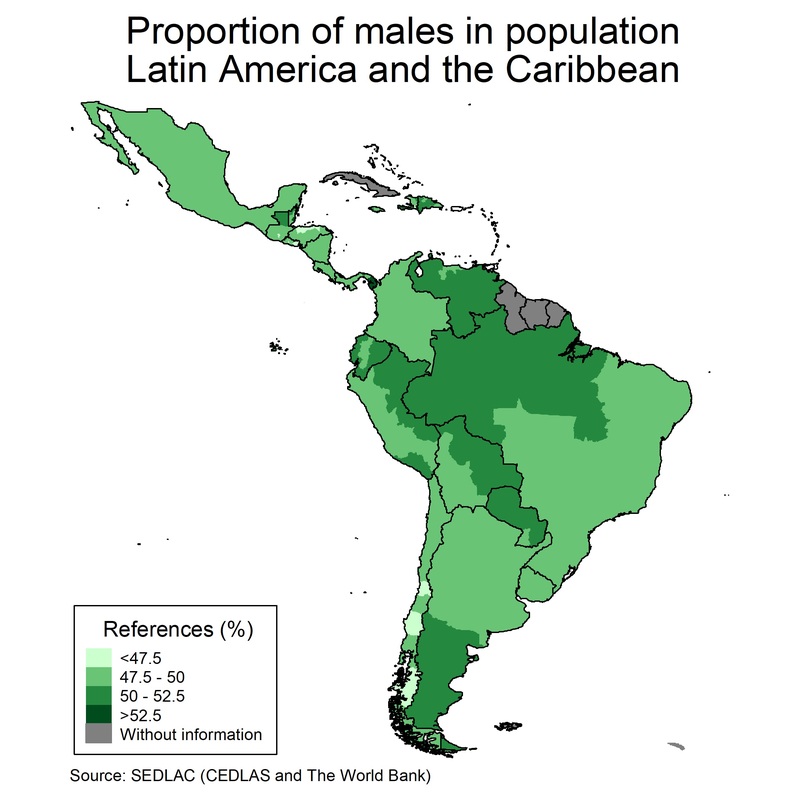 – Distribution of the population by areas (urban-rural) and subnational regions. – Educational structure of adults aged 25 to 65. – Average years of schooling in formal education by gender, area, and income quintiles. – Gini coefficients for the distribution of years of education. – Literacy rates by age, gender, income quintiles, and areas. – Gross school attendance rates for children and youth aged 3 to 23. – Enrollment rates by age, gender, area and income quintiles. – Net enrollment in primary, secondary, and superior education. – Educational Mobility Index: 1 minus the proportion of the variance of the school gap that is explained by parental education and income (Andersen, 2001). – Employment and unemployment rates. – Structure of employment by labor relationship, type of firm, and sector. – Informality by age, gender, education, and area. – Hourly wages, hours of work and labor income by age, gender, education, area, sector, and type of work. 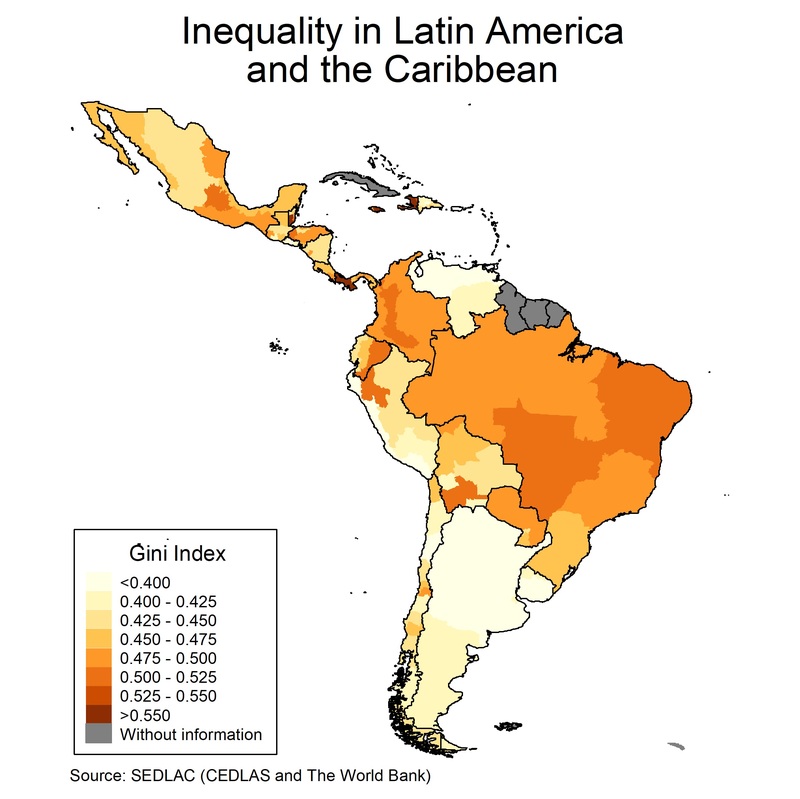 – Earnings inequality and wage gaps. – Coefficients of Mincer equations. – Conditional gender wage gaps. – Contracts, pensions, health insurance by age, gender, education, and area. – 13th month, holidays, unions. The Excel file includes estimates on ownership, number of rooms, persons per room and quality of the dwelling, by income quintiles, education and age of the household head. The Excel file includes estimates on access to running water, electricity, restrooms, sewerage and phone, by area and income quintiles. The LAC Equity Lab is available at: www.worldbank.org/equitylab. 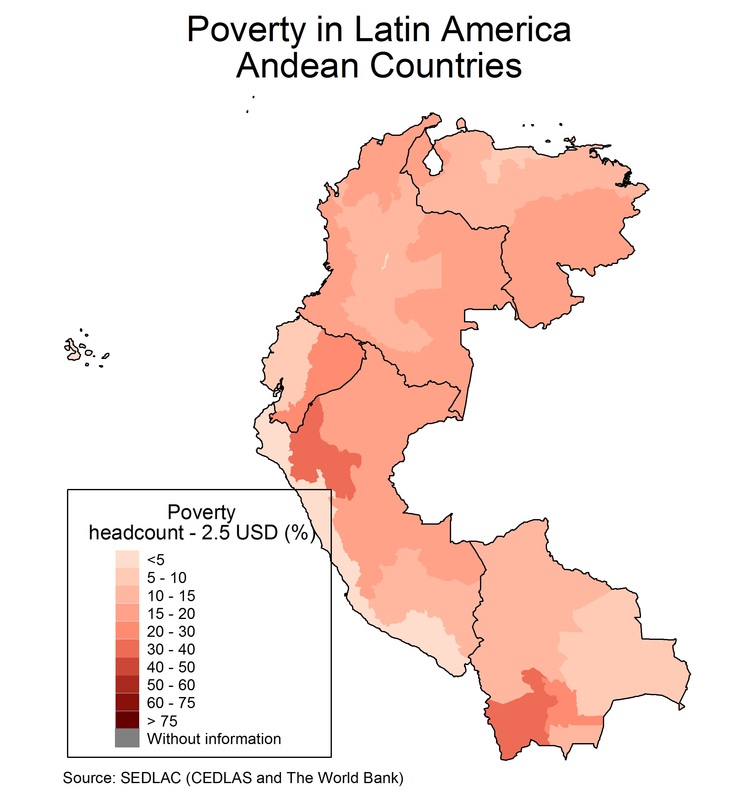 This section includes maps that illustrate the diversity in distributional and social variables in countries from Latin America and the Caribbean. Data from SEDLAC is used by CEDLAS and World Bank’s Poverty and Equity Group to produce briefs, reports and studies.